Ships today if you order in the next 4 hours 56 minutes. Auto Ship & Earn + 193 Points What's this? Blood may seem simple enough. We need it to live and it flows through our bodies to take all the different compounds we need to the right place. But a lot of complicated systems and processes are going on within the body to keep blood working how it should. 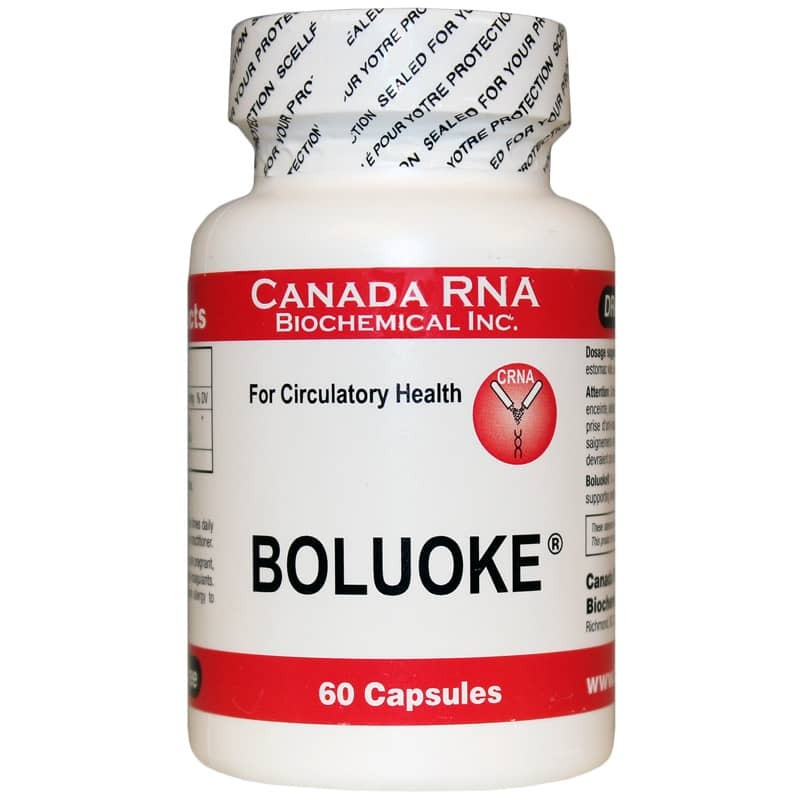 Help maintain those complicated systems with Boluoke from Canada RNA Biochemical Inc.
Boluoke is a supplement containing enzymes that may help maintain normal circulation and coagulation of the blood for optimal health. 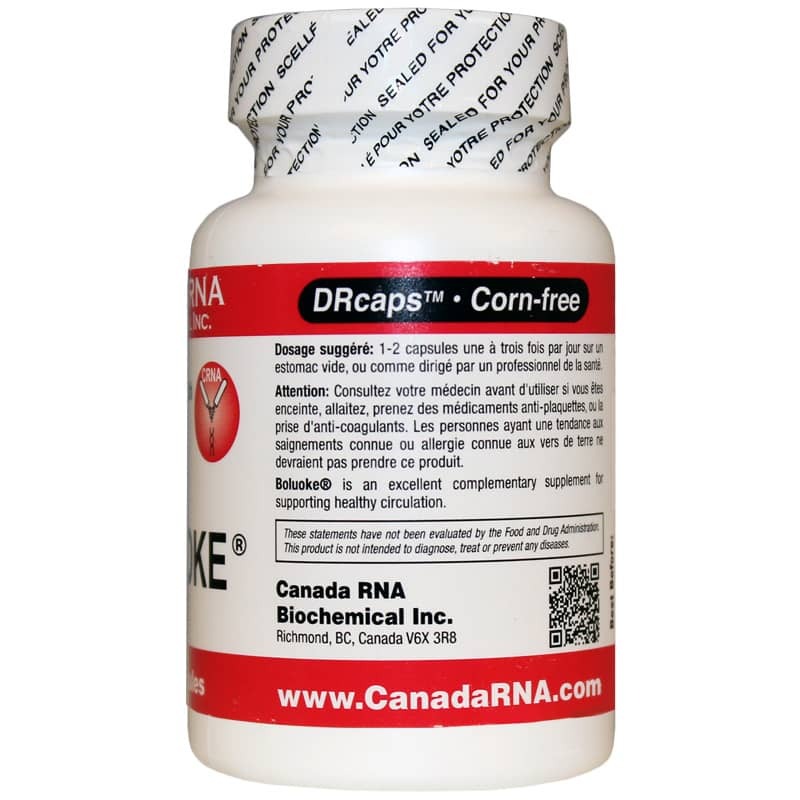 The unique enzymes in this product come from an equally unique source - earthworms. Used for centuries in traditional medicine systems of the Far East, earthworms can be used for more than baiting a hook or giving the early bird a good breakfast. Earthworms contain lumbrokinase, an enzyme that affects fibrin, a compound in blood involved in coagulation. This enzyme may support healthy circulation and normal characteristics of the blood, making it beneficial in maintaining already normal heart health. Take proactive steps to maintain healthy blood for a healthy heart and more. Order Boluoke today. Other Ingredients: acid resistant hyomellose capsules, microcrystalline cellulose. 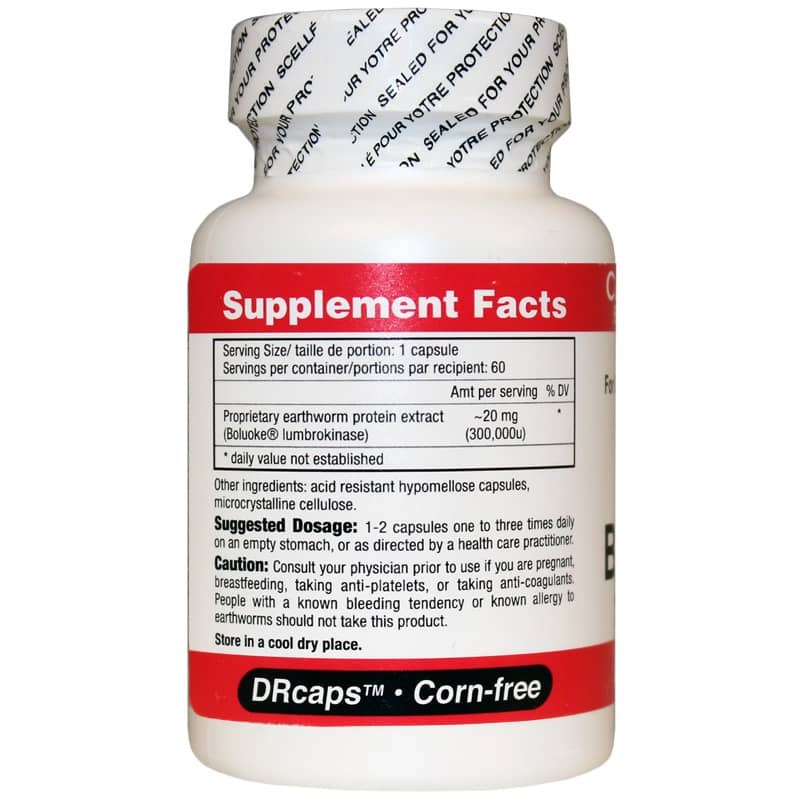 Adults: Take 1 to 2 capsules one to three times daily on an empty stomach or as recommended by a healthcare professional. Ordering my supplements through Natural Healthy Concepts is very convenient. The site is easy to navigate, and I can have my order finished up quickly. I have been using the Boluoke for over 6 years now...I'm 85 and I can really feel an improvement when using it. Also a good way for me to know it's working is when I run out of it! I can always tell the difference!